Table Tennis Olympics 2008 - Which mens teams qualified? 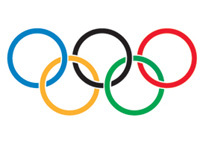 Which men's teams qualified for the 2008 Olympics? The Olympic Games were held in Beijing in the People's Republic of China from 8 to 24 August 2008 and we saw some fabulous table tennis. 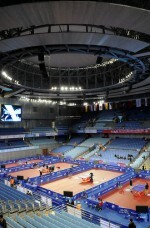 Although the opening ceremony took place on 8 August 2008, the table tennis didn't actually start until Wednesday 13 August 2008. A fabulous new state-of-the-art venue had been built at Peking University specifically for this event - so the players had the best possible conditions in which to play. It had seating for 8,000 spectators - with 6,000 seats being permanent and 2,000 temporary. Were all the best players there? Unfortunately, because each National Olympic Committee (NOC) could only have a maximum of three men and three women competing, some of the stronger nations like China had several players who, despite being in the top 20 of the World Ranking list, were not at the Olympics. However, this meant that the rivalry between the various nationalities was more intense, and provided us with some excellent matches.